One of the main attractions at Surfers’ Point Beach is the estuary where both the Pacific Ocean and Ventura River meet. 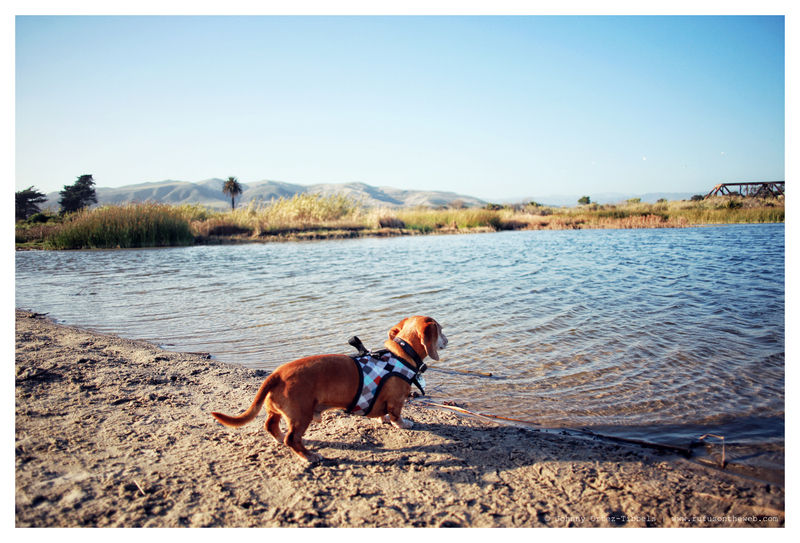 The calm water, mountains and lone Palm tree make for a fun backdrop as demonstrated by Rufus in today’s pictures. Today is technically the first day of spring friends so make it a great one. Be good to your dachshunds and to each other. This entry was posted in Rufus and tagged #dachshund, #red dachshund, #RedDachshund #RedRegalDachshund, #smooth dachshund, doxies. Bookmark the permalink. Rufus just can’t get any cuter! Rufus is so adoreable!! And is enjoying himself!! I love Rufus!!!! Give him hugs and kisses!!!! 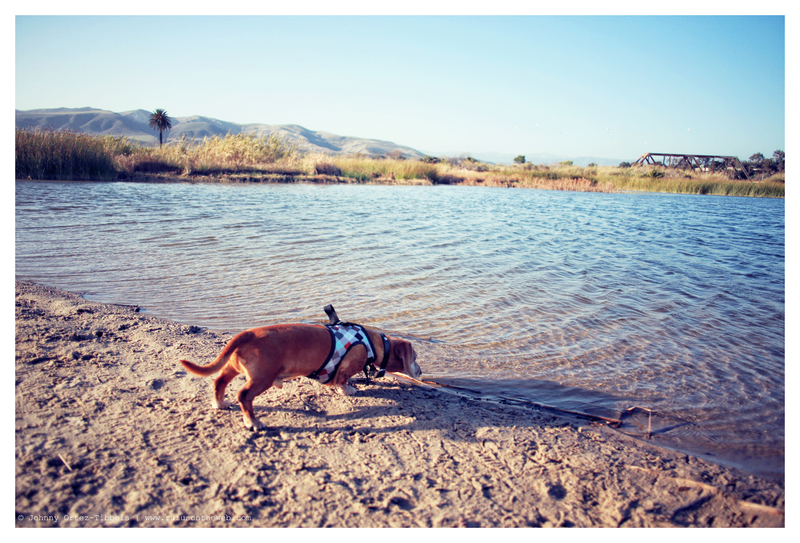 Your Rufus is identical to my Willie and I know she would love to live by the water! Thanks for sharing…he is so handsome!